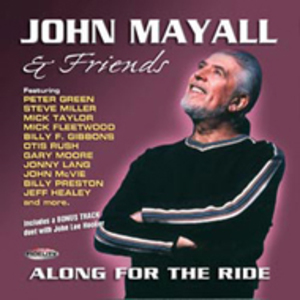 As the elder statesman of British blues, it is John Mayall's lot to be more renowned as a bandleader and mentor than as a performer in his own right. Throughout the '60s, his band, the Bluesbreakers, acted as a finishing school for the leading British blues-rock musicians of the era. Guitarists Eric Clapton, Peter Green, and Mick Taylor joined his band in a remarkable succession in the mid-'60s, honing their chops with Mayall before going on to join Cream, Fleetwood Mac, and the Rolling Stones, respectively.